A couple of weeks ago, I received this note from Paul Zitarelli, the owner/founder of Full Pull Wines. 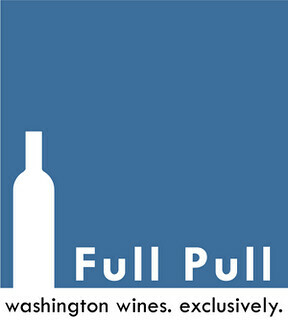 Full Pull is an e-mail retail operation, based in Seattle, that specializes in Northwest (mostly Washington) wines. I've known Paul since we began a correspondence some years ago, and I have great respect for his palate and his business ethics. His note read "You might have noticed that on Feb 14, I offered a library release from Seven Hills Winery: their 1997 Merlot Seven Hills Vineyard. That was actually the first of three library offerings that I will be making with Seven Hills. The second, scheduled for March 9th, is their 1998 Syrah Walla Walla Valley, which is all Morrison Lane fruit. I believe Morrison Lane is the oldest Syrah vineyard in the Walla Walla valley, planted in 1994, so I’m quite certain this is one of the oldest bottles of WWV Syrah that exists (Seven Hills and Glen Fiona made a 1997 vintage from Morrison, but I haven’t tasted it). The third offering, scheduled for March 28, is their 1998 Merlot Klipsun Vineyard, a wonderful expression of the seeming immortality of Bordeaux varietals from Klipsun. "I suspect Casey and Vicky [McClellan] would be willing to discuss why they chose to sell their library stock this way. I also think there might be a broader story here regarding library stocks generally: how wineries decide the initial amount to store in the library, how they decide when to release the wines, how they market them, and what they do when they realize they have a library full of wines that are at peak and close to beginning their descent." I was intrigued, and set up a tasting opportunity. Seven Hills is not only one of the very first Walla Walla wineries; its owners were also instrumental in planting the original Seven Hills vineyard, some 30 years ago. For the fascinating and convoluted history of that vineyard, I must refer you to the second edition of my book. But Seven Hills (the winery) still makes their best wines from Seven Hills old vine grapes. In addition, I am fascinated by any opportunity to taste older Washington wines. It has long been my contention that ageability is an essential characteristic of great wines, great vineyards, and great vintages. Throughout the decade or more when the mania for super-ripe, super-jammy, high alcohol wines reached its peak, Seven Hills winemaker Casey McClellan stuck to his guns and continued to make wines with European breed and elegance. It is three of these wines, from the 1997 and 1998 vintages, that are being offered by Full Pull. As to why the winery is making them available, it's pretty simple. They have an extensive library, and few wineries in this state do. "We like to share the heritage with people," Casey explains. "We are one of the wineries that can really show if our wines age or not – a link back to the past. There is a large segment of people out there who have not tasted 10 year old Washington reds. We have enough of these wines to release them through a very selective distribution situation - Full Pull." All three wines are being sourced directly from the winery – impeccable provenance. The 1997 Seven Hills Vineyard Merlot is already sold through, I believe, though some aggressive inquiries directly to the winery might pry a bottle or two loose. Mature, round, soft, brown sugar over pastry fruit flavors. The acids and tannins are just beginning to stick out; now is a good time to drink this. Mature cherry fruit, dense and astringent, but compelling. A fine bottle, showing how well Washington Merlot can age. At 13% alcohol! Listed at 13% alcohol. Showing some mature aromas, and a bit of a hole in the middle. Opens slowly, with astringent tannins, Bordeaux flavors, and a bit of brown sugar. Wow - a 12 year old Syrah. Rare! It's in a transformational phase; beginning to jell as an "aged" wine. Jellied fruits, sharp acids, a strong finish, with coffee, herb/umami, and just a hint of stem. Needs decanting and breathing time. It has a very interesting menthol note, in the nose and in the mouth. The fruit remains fresh and the wine seamless. 13.7% alcohol. We also tasted through many upcoming 2008 releases. A stellar lineup, that I will blog about once the release date (May 1st) is at hand. I agree with the '97 Merlot review. I just popped the cork on this one (Thanks Paul Z!) and was blown away at what the bottle had in store for me. 13 years in, and I still gave it significant decanting (~2hrs) which brought out a highly aromatic (and unique) bouquet, luscious flavors, and layers that break-danced on the tongue at an absolutely spot-on abv. Thanks Casey for having the foresight to make a great age-worth Merlot (before the grape became uncool) that showcases what our state has done and CAN do with this, and hopefully more, varietals over the long term! Thanks Paul Z for giving us this opportunity to lay our hands on these wines without the trip to Walla Walla.